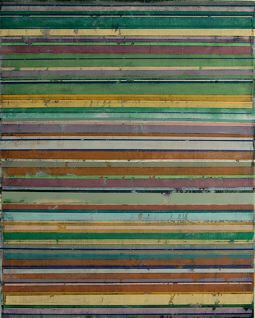 Steve Griffin began as a photo-realist painter in the 1960s and 70s. 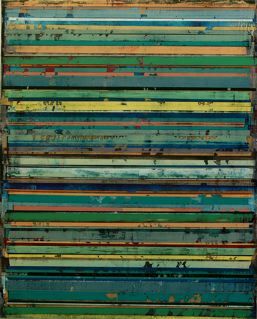 He now believes abstraction allows for a much more open interaction with the painting process itself, where changes are dictated by the ever shifting relationships of visual elements within each individual painting. 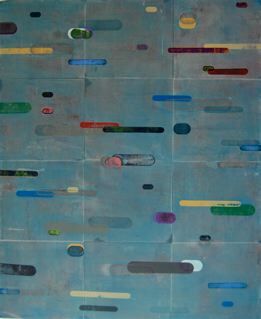 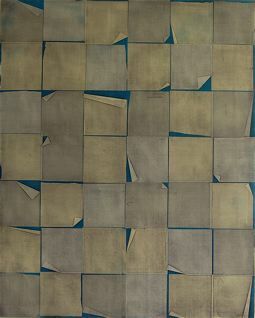 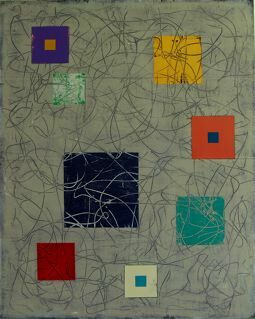 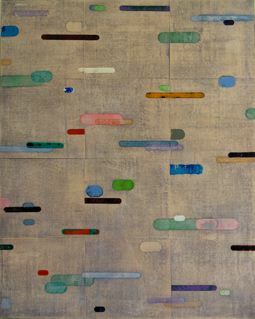 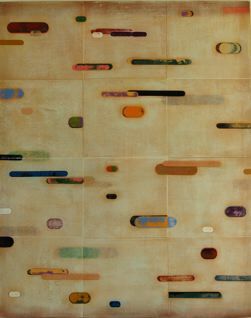 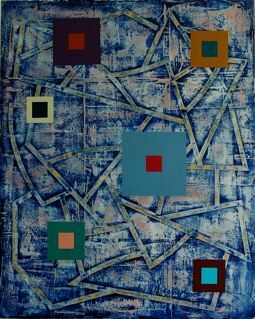 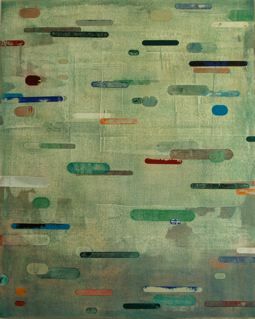 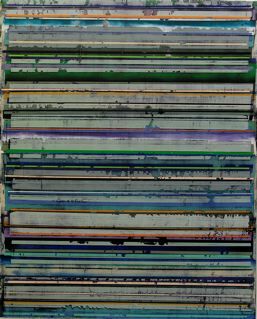 The most recent “Strata” series of paintings began in the spring of 2007. 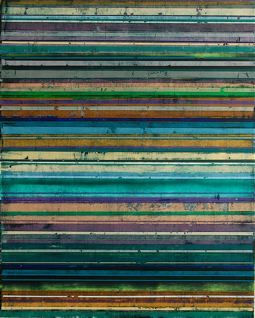 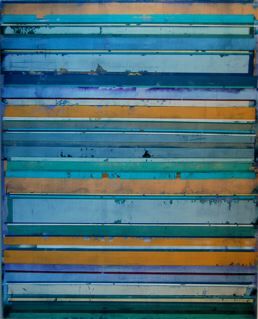 The basic horizontal stripe compositions in these paintings were initially inspired by the abundant river views in the beach town where Steve lives. 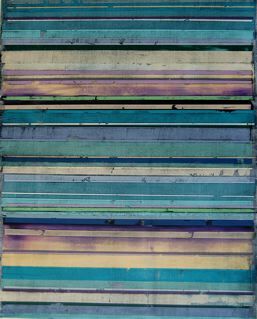 The end result more closely resembles a cross section of earth or the strata found in rocks. 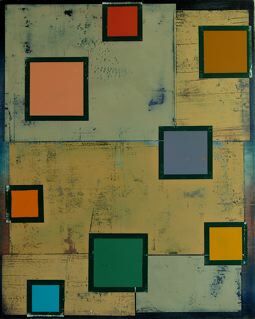 Griffin applies multiple layers of paint, which are eventually sanded and scraped to reveal previously forgotten colors and textures. 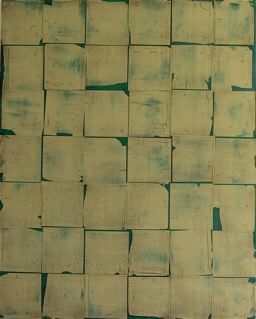 This method of painting retains an element of chance in an otherwise very structured format.